Do you know why we cover White Rock Home Appliances Repair needs fast? We know that having a leaking dishwasher or refrigerator is not just an inconvenience for you, but also a threat to your floor or health. Malfunctioning home appliances can cause significant problems. We fix them fast! Our team is as fast as you would like us to be! We offer same day appliances repair, excel in home appliances, are familiar with most brands in British Columbia and make sure the problem is fixed efficaciously. Appliance Repair White Rock can help you! If you are used to simply press a few buttons and set every appliance in the house in operation, call us if something goes wrong. No matter how modern and durable appliances are, there comes a day when the freezer will start melting the ice cream and the dishwasher won’t latch. We have an expert team at our company and proudly serve the needs of our customers in White Rock. Are you looking for experts in kitchen appliance repairs? We can assure you that we know how to fix the ice maker, all fridges, stoves, ovens and dishwashers. Do you have trouble with the microwave or the garbage disposal? 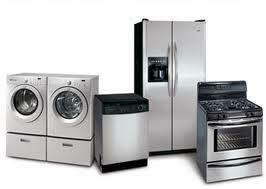 We also offer small appliance repair, are meticulous and promise fast time of response. If you want fast service, a reliable home appliance service technician, excellent results and reasonable prices, rely on our company. Seek assistance for all home appliance needs. 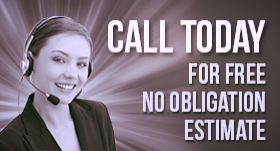 We send one of our experts as soon as we can and guarantee thorough troubleshooting and honest solutions. Does the dryer emit bad odors? Don’t waste another moment. Contact us for immediate service. We can save you from safety hazards, inconveniences and problems. Need preventive maintenance? We also offer home appliances repair service and installation and our accuracy travels with us.